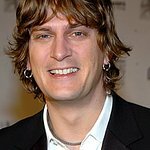 Matchbox 20 singer Rob Thomas will perform a series of gigs this summer for charity. The rocker will play small venues – mostly casinos – in July and August to get up close and personal to fans. Find out dates and venues at RobThomas.com.